The difference between failure and success starts with preparation. 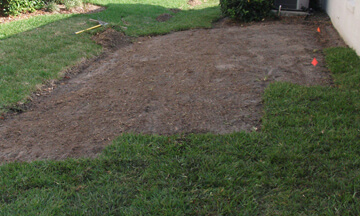 The perfect base for a new lawn will be a mixture of sand and organic material. The grade of the yard will be away from your house, and a drainage plan will have been thought through and executed properly. Nothing in the world is perfect, the prep process won’t be either. Just do the best you can. 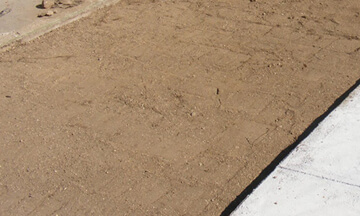 Often preparation is simply removing the rocks, clay clumps, other debris, and raking level. Other situations may require more extensive work. 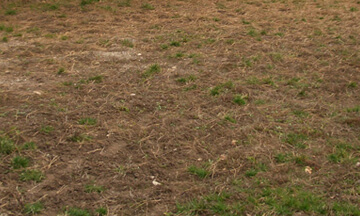 Know this: hard compacted clay is not suitable for healthy grass growth. 1. Lay the pieces as you would lay rows of bricks. 2. Ideally, do NOT space the pieces apart. When installing your sod, if you find yourself needing to cut certain pieces to fit into areas, try to cut the pieces with as little disruption to the roots as possible. Hacking at it with a dull object is not ideal. Have something sharp and cut it with as few cuts as possible. Watering is the key to a successful lawn, especially during the first several weeks after your sod installation! The first week after transplanting, watering will give the plant strength and keep it from overheating. It is best for water not to stand in puddles for an extended amount of time, as roots need oxygen and can literally drown but during the spring and summer months, water evaporates quickly so some puddling is generally not a problem. For the first week, water daily. Early morning watering is ideal. Every sprinkler and every soil is different, so you will have to pay attention to ‘how long’ it takes your sprinkler to achieve the goal. During the hottest parts of our summer, you may very well need to water more than once a day. If you find your lawn to be dry in the evening, feel free to water it again, just avoid leaving puddles of water over night as that can cause fungus. After the first week, the grass should be recovering from its transplant if you’ve been taking care of it properly. You will still need to make sure and water daily, just not as much water each day; also take into account any sort of rainfall. The goal now is to still supply the water, but a little less, so that the roots will begin seeking out water, causing the roots to make your soil its new home. Continue to water the sod every morning into the third and fourth week. Mow it as soon as you can, but not too soon! If the grass is green (not dormant), it typically will be somewhat rooted in after 3 weeks, at least well enough to mow. You want to mow as soon as you can, without pulling the sod from the ground. You never want to cut more than 1/3 of the length of the grass blades. This means that for the first, and maybe second mowing, you will need to raise your mower height, perhaps lowering it a little each week until you reach the desired height. Mowing soon and often helps the plant remain compact. A compact plant will be able to strengthen its roots and leaves, without trying to support very long leaves and seed pods. Our grass arrives to you fertilized properly. It does not need fertilizing to help it establish. 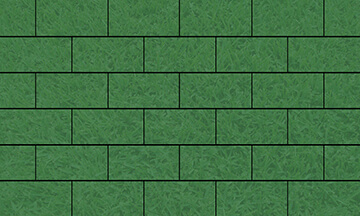 Burning by over-fertilizing can easily be done with the small and condensed root system of new sod. Be patient! Feel free to winterize your lawn in the fall for the colder weather and then use normal fertilizers in the following spring. Delta Sod does not recommend any brand-specific fertilizing products. The staff at a normal gardening center can assist you in choosing the right products for your individual needs.